Belfast featherweight Marc McCullough's hopes of a high-profile title bout were dashed when he suffered a sensational first-round defeat in Germany. The 25-year-old was stopped by Zoltan Kovacs of Hungary in a contest which McCullough planned would be a stepping-stone to a crack at a European belt. 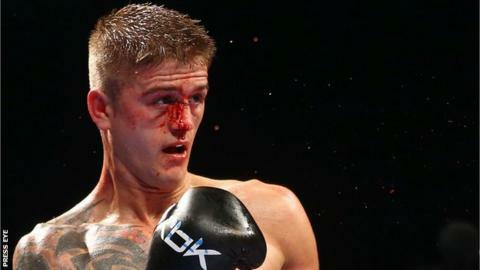 McCullough had been ranked fourth by the World Boxing Organisation before suffering his first defeat in 12 bouts. He had got straight back on to his feet after being floored in round one. But the Belfast boxer took a series of blows and was on the deck again before his corner threw in the towel.